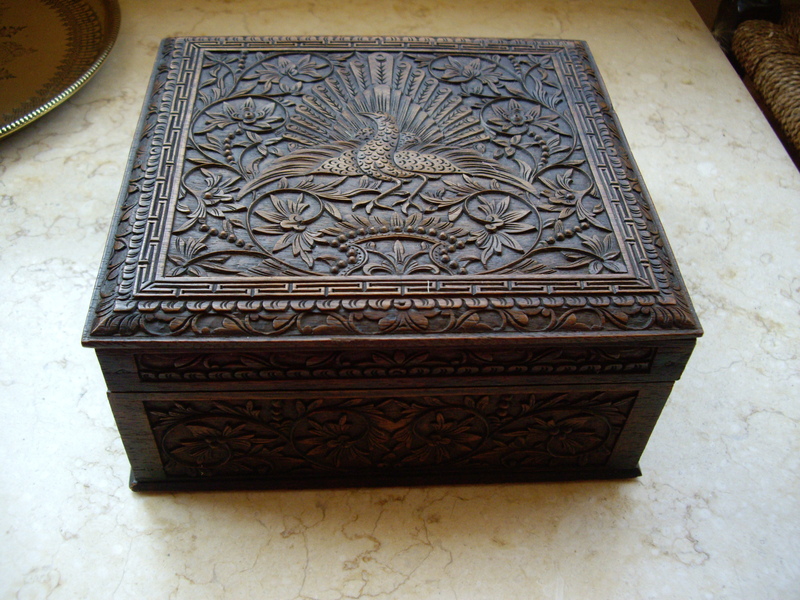 Here is my rather lovely antique Coin Treasure Box, which I bring out on special occasions. 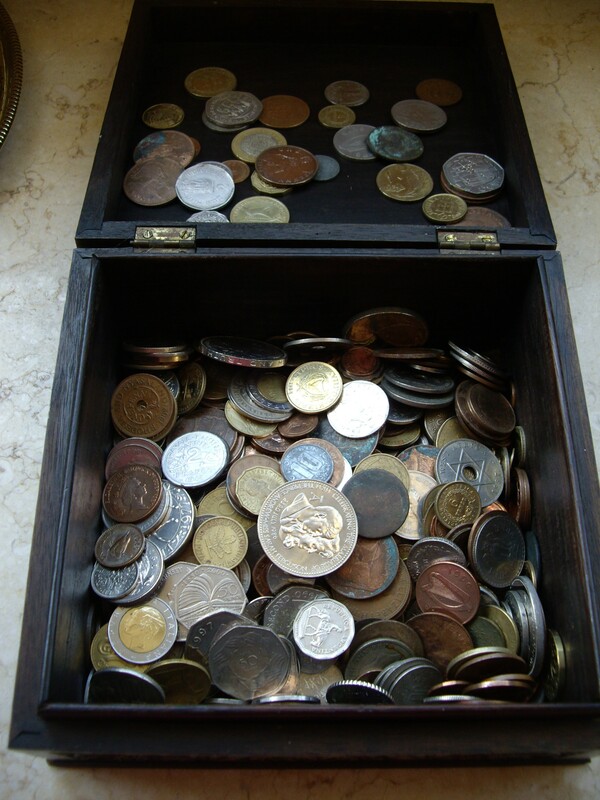 When you open it up, you can see my years of obsessive hoarding of foreign and old coins, which I accidentally discovered that children really love to play with! If this seems a strange thing to let a child play with (surely solely the preserve of old men!) then think again. True, not necessarily a plaything for the very young (be aware that children under three could choke on small coins if put in their mouth)….but for an older child, say seven plus, this is immensely educational. At around the age of seven or eight, a child’s focus widens and they begin to take interest in the wider world around their immediate home environment. Think how much about history a child could learn from studying the dates and pictures on the coins. Each one is a little portrait, a piece of art telling about an era. 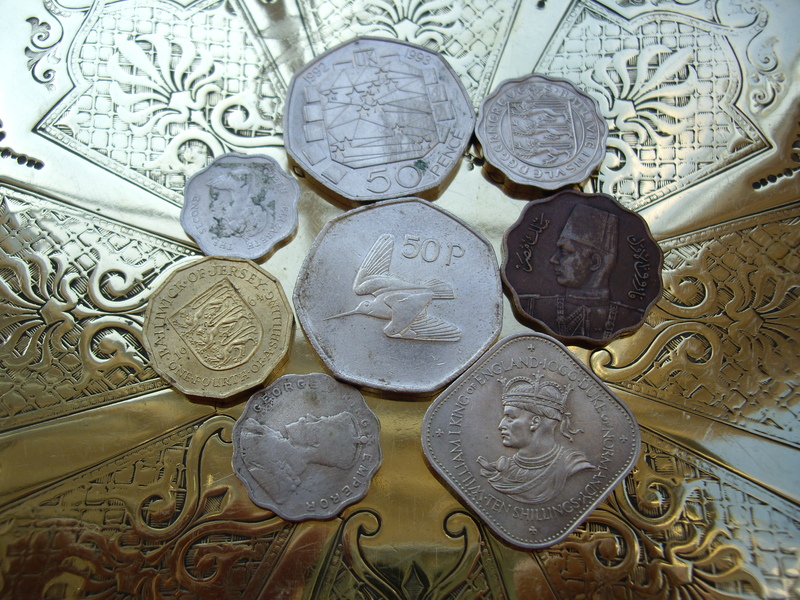 As well as learning about royalty from the depictions of kings and queens, older children could begin to explore sociology by questioning why some coins have pictures of religious symbols while others have sporting heroes. And why do so many coins show pictures of lions? And the number of coins showing images of plants and trees has prompted some fascinating discussions about how in some countries, a poor harvest means starvation, while other regions identify with a national plant such as a lily or a thistle. We have also explored possible reasons why some coins have holes in or are funny shaped. 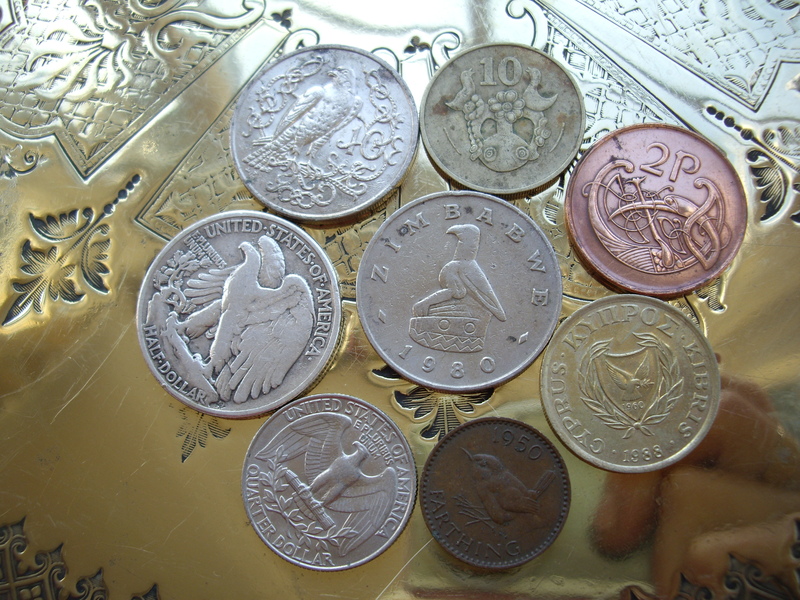 So if you have holidays abroad with leftover foreign change, or come across old coins at antique fairs, it’s worth saving them for your children! 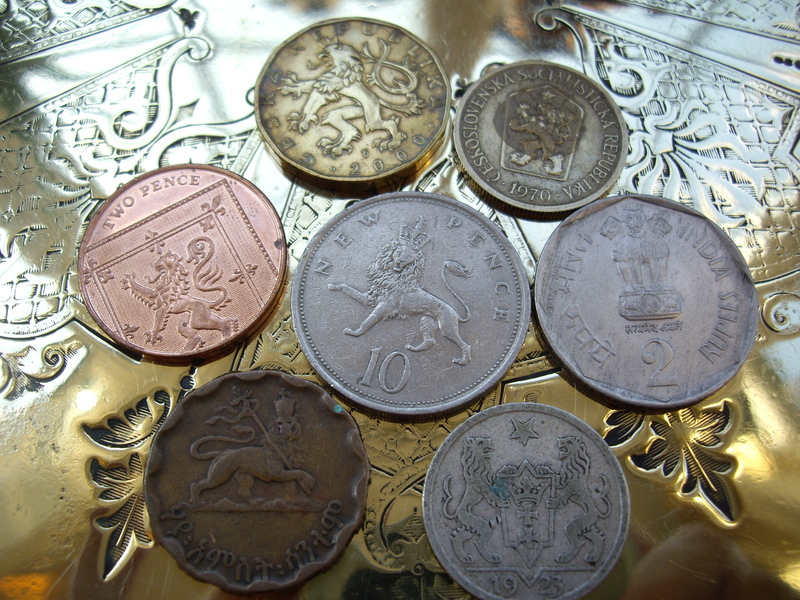 I have spent many years collecting these coins, some of which have been passed on by my mother who started collecting them as a child. 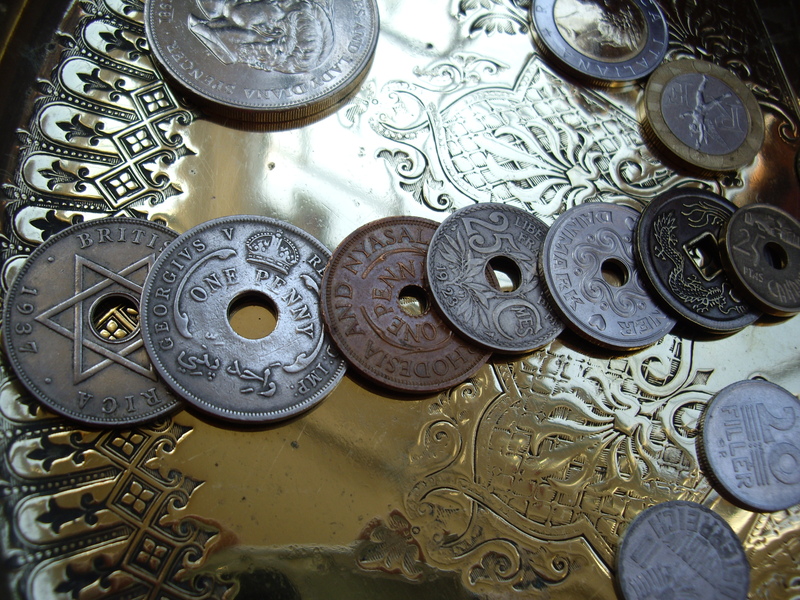 Every coin has a fascinating story of its own, from the threepenny bit which was used to buy a doll for a Victorian child, to the holed coins strung round the neck of a desert dwelling nomad. And if you can’t find out the real story, why not invent one? Creating a coin story illustrated by different coins could be a great way to spend a rainy afternoon…. 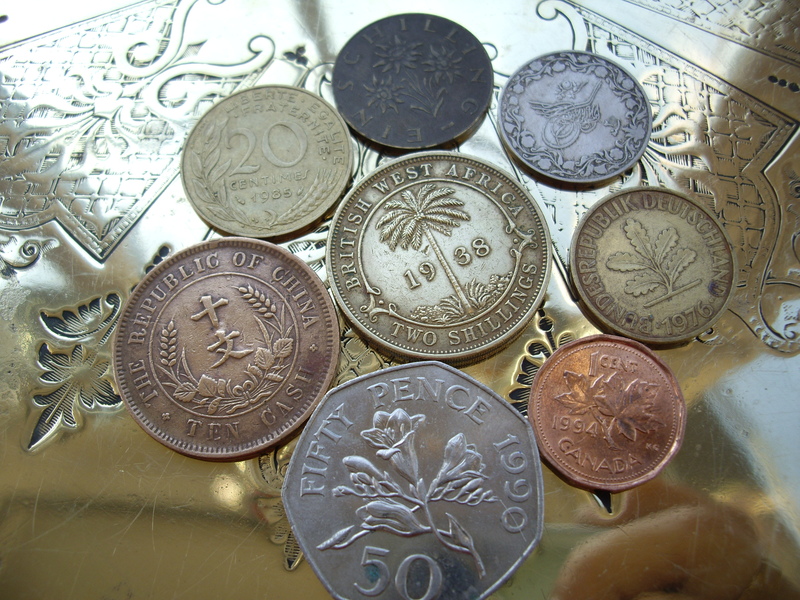 Give each person a handful of coins and challenge them to create a storyline. Or let each person choose a series of coins illustrating events in the life of a character. 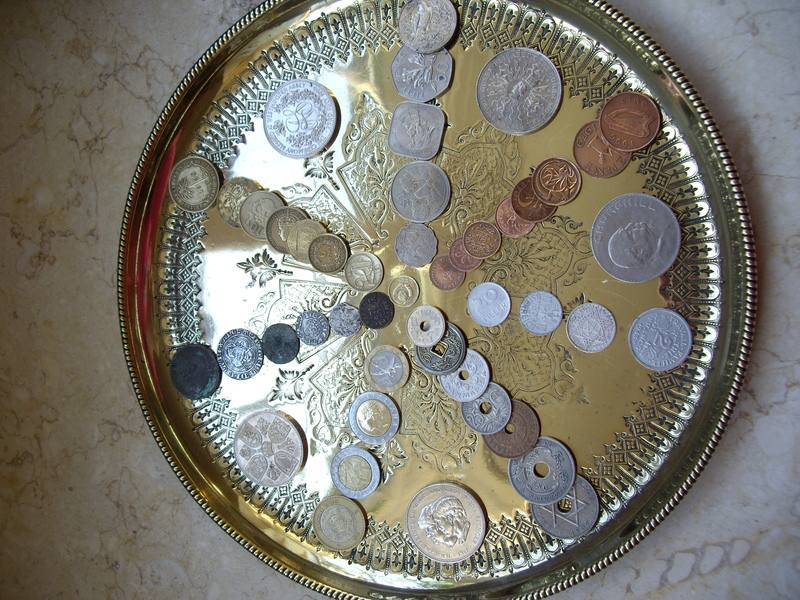 Or take turns choosing a coin from a pile, with each coin showing another event in the story. 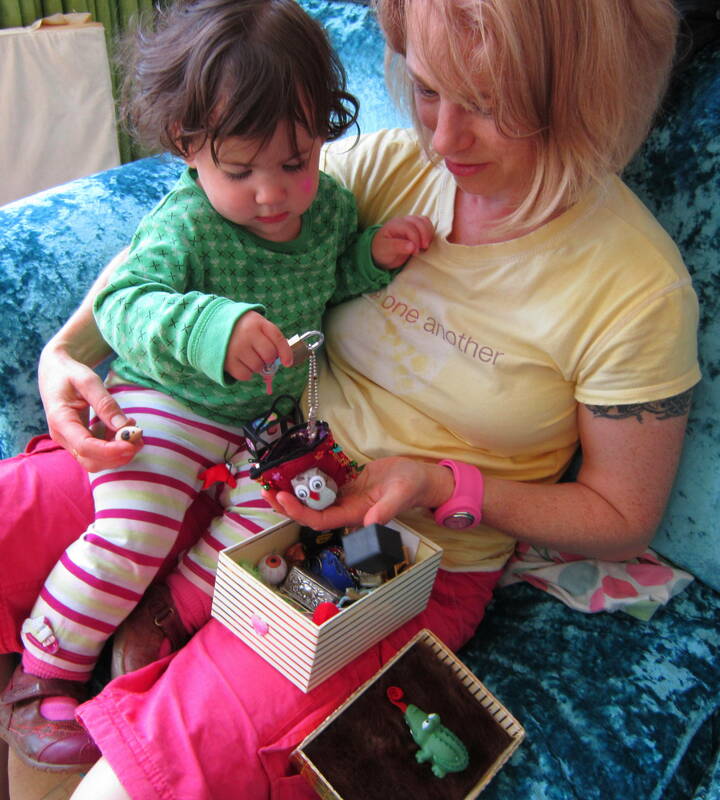 Or simply enjoy sorting them by size, shape, age or type of metal!